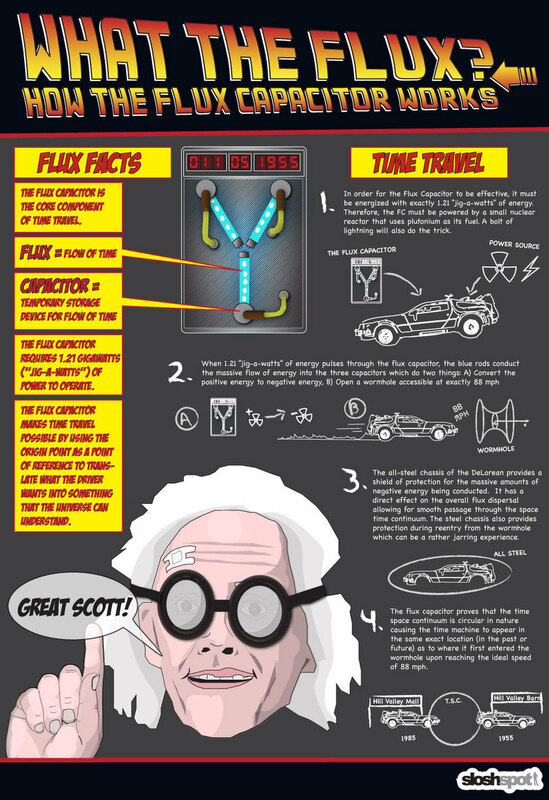 How Does the Flux Capacitor Work? The term "flux capacitor" has been a buzz-word used to replace any random gizmo ever since your favorite cult-classic film Back To The Future graced us in 1985. But most of us use it without a damn clue of how the device actually works. To clear the air, sloshspot.com thought they might give you some insight into how the legendary device makes time travel possible.